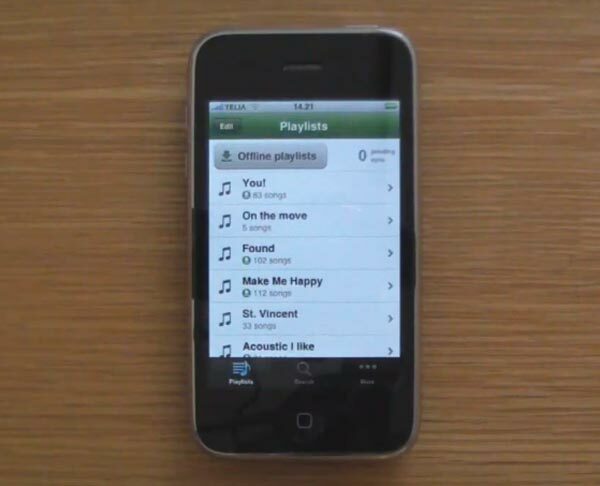 Apple (AAPL) has finally Approved Spotify for the iPhone, although the App hasn’t gone live in iTunes, Apple and Spotify have both confirmed that it has been approved and that it will appear in the iPhone App store shortly. Spotify is a music subscription service that streams music direct to your PC or Mac, and it will now stream the music direct to your iPhone when the Spotify iPhone App is available from the App store. The main difference between Spotify and other music streaming Apps is that it lets you download the music direct to your iPhone, and then you can listen to your playlists when your iPhone isn’t connect to 3G or WiFi. At the moment Spotify is only available in Europe, there is no word on when it will be rolled out the the US, but I am sure it wont be long as I am sure Spotify will have a lot of US iPhone users wanting to try their service out. Check out the video below which shows how it works.